Officer Chateri Payne had just joined the Shreveport Police Department in July. 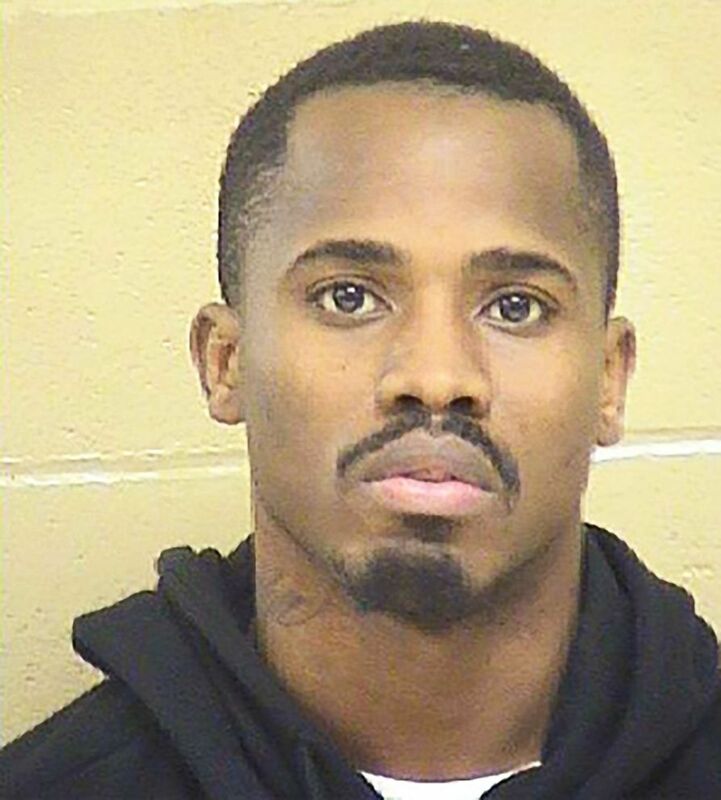 Three men were arrested in the killing of a rookie Louisiana police officer outside her own home, including her live-in boyfriend and father of her child who allegedly "concocted" a story of her being shot by a mystery gunman, officials said Wednesday. 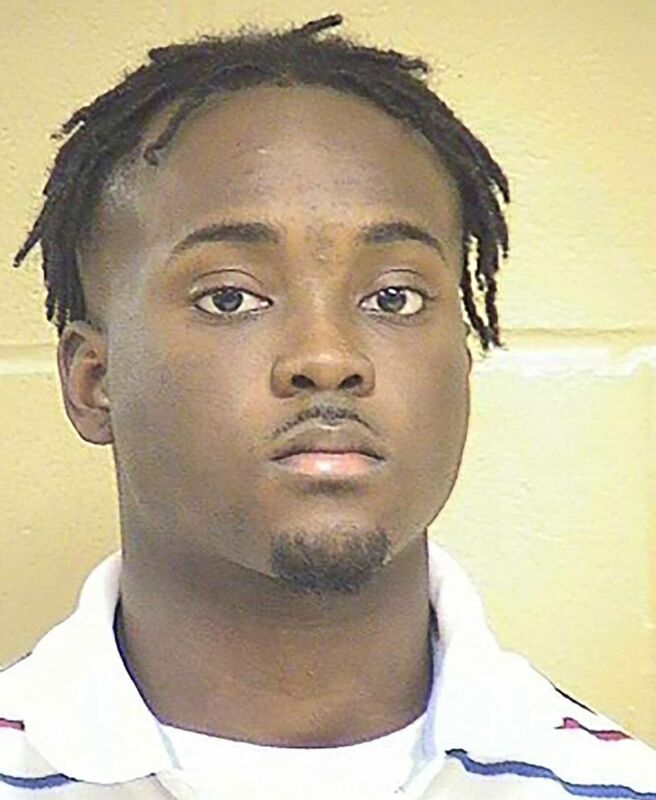 Police in Shreveport launched a manhunt for the killer of Officer Chateri Payne, 22, only to learn the suspect they were seeking lived under the same roof with her, Shreveport Police Chief Ben Raymond said at a news conference on Wednesday. Payne's alleged killer was identified at Treveon Anderson, 26, who was her boyfriend and father of her young daughter, said Raymond. Also arrested as accomplices were Lawrence Pierre, 22, and Glenn Frierson, 38. All three suspects have been charged with second-degree murder. 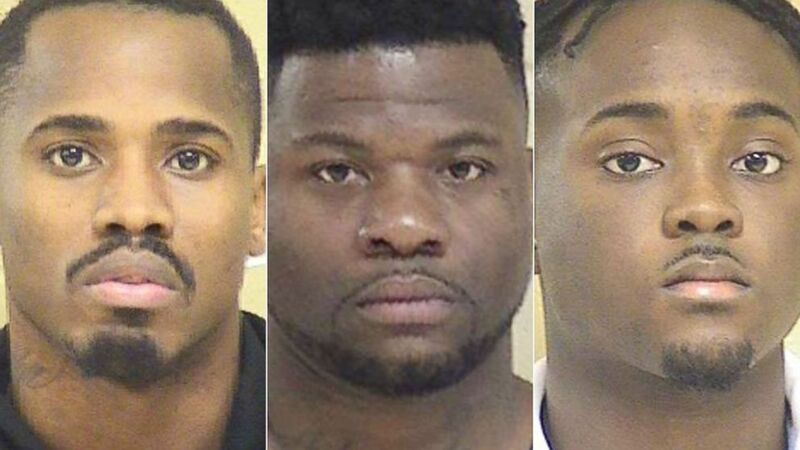 (Shreveport Police Department) From left: Treveon Anderson,Glenn Frierson and Lawrence Pierre are pictured in this undated photo released by Shreveport Police Department. "We are still mourning the heinous murder of Officer Payne," said Raymond, as Shreveport Mayor Adrian Perkins and the investigators from multiple agencies who worked on the case stood behind him. "But thanks to these men and women, we can have some peace in taking three evil cowards off of our streets so they cannot harm anyone else." Payne was killed just after 8 p.m. on Jan. 9 outside of her home in Shreveport as she was on her way to work and dressed in her uniform. Raymond said Anderson called 911 to report finding Payne shot multiple times. (Shreveport Police Department) Treveon Anderson is pictured in this undated photo released by Shreveport Police Department. In a statement to detectives, according to Raymond, Anderson claimed he was inside the house with their daughter when he heard gunshots, "then went outside and shot at a person wearing all white clothing, whom he believed to be the suspect." He said Anderson was released after giving his statement. Raymond said Anderson's story began to unravel as police investigated the crime and hunted for the killer. (Shreveport Police Department) Lawrence Pierre is pictured in this undated photo released by Shreveport Police Department. "Evidence recovered during the course of the investigation led detectives to develop Treveon Anderson as the suspect in the murder," he said. "We believe Anderson shot and killed her and concocted the false narrative of her being murdered by an unknown suspect." A motive for the killing is still under investigation, he said. It was not immediately clear if any of the suspects had representation. (Shreveport Police Department) Glenn Frierson is pictured in this undated photo released by Shreveport Police Department. Raymond said investigators do not believe that Pierre and Frierson were at the house when Payne was shot to death and declined to release details on what led to them being charged in the case. He described them both as "accomplices." 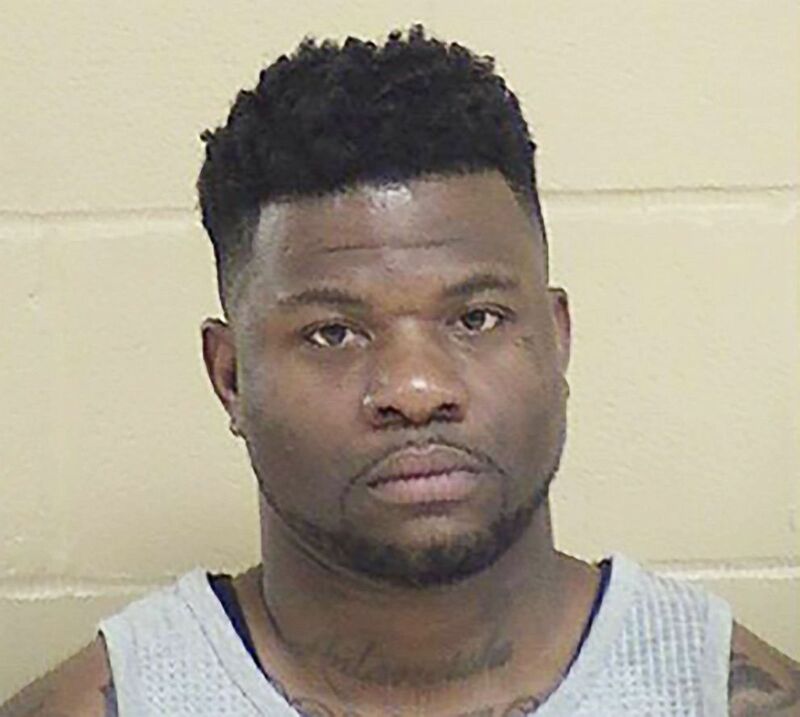 Pierre works as a deputy clerk at Caddo Juvenile Court in Shreveport, according to ABC affiliate KTBS-TV in Shreveport. "We may never know whether Officer Payne's chosen profession contributed to her death, but we do know a uniformed police officer was killed moments before beginning her shift," Raymond said. 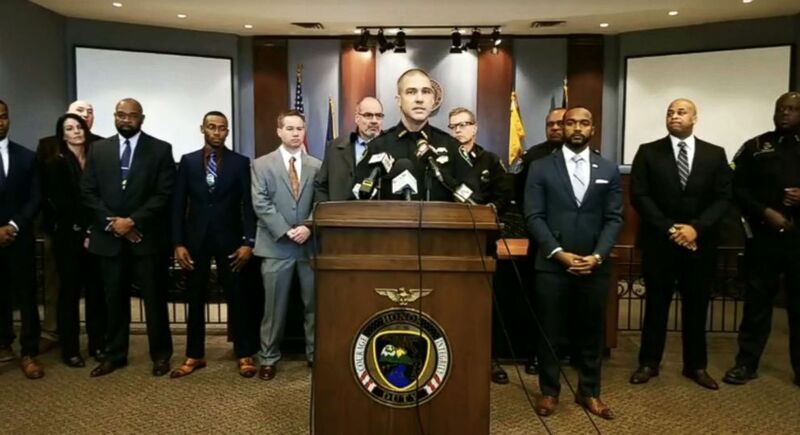 (Shreveport Police Department) Shreveport Police Chief Ben Raymond holds a press conference on Jan. 16, 2019. He said investigator recovered a .40-caliber handgun they believed was used in the slaying. "The news of having arrested her murderers does not mean our job has ended," Raymond said. "This is a small sense of relief because the fact is a young lady, a young mother, a young daughter, a young officer in the prime of her life was killed in a senseless act of violence, which is far too common in today's society." Payne had just completed her cadet training in mid-November, meaning she had been working as an officer for less than two months at the time of her death. She was hired by the department on July 27, 2018, and graduated from her training program on Nov. 16, according to Raymond. "I handed her diploma to her and shook her hand as she proudly walked across the stage and joined our ranks," Raymond said at a news conference last week as the hunt for Payne's killer was just getting underway. "I saw firsthand the excitement in her eyes as she embarked upon her chosen career of serving others."